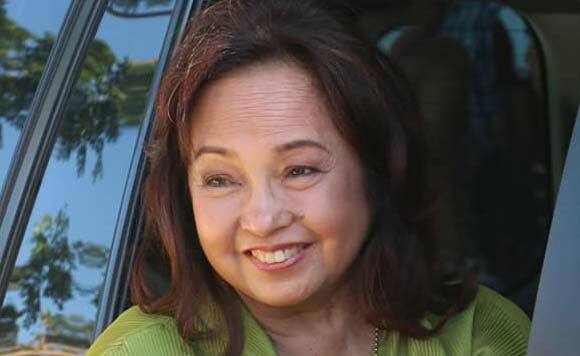 Speaking to mining industry leaders, former President and now House Speaker Gloria Macapagal Arroyo on Tuesday alluded to her successor Benigno Aquino III’s opposition to mining, saying the mining sector grew under his administration despite his efforts to restrict it. “My successor was against mining and apparently wanted to ban it but his Executive Secretary, I’m told, pointed out that there was no legal basis for a ban on mining. So what he did was to only ban new permits,” she said. “But note, he did not ban any old existing operations through EO 79. Thus, 20 new operations were initiated in my successor’s time. Even under EO 79 using only existing permits and expansions. So, despite the fact that there was a ban on new permits, actually mining output during my successor’s tenure was bigger than during my tenure,” said Arroyo. Under the Duterte administration, in April 2017, the Department of Environment and Natural Resources issued Order No. 10, banning the open pit mining for copper, gold, silver and complex ores in the country. “There were report at the time, urban legend, that the Secretary of the Environment closed 20 mining companies. But I think you know the facts. Actually none of them were closed,” she said. “However, in that negative mindset regarding mining, the industry’s output went back to the levels of my time. And this worried you, the business community and inspired your industry to become more militant,” she said. “The Chamber of Mines became more unified and the sector even began considering legal action. But when I became Speaker I discouraged legal action,” she said. During her speech, Arroyo also called on the mining industry to help President Rodrigo Duterte achieve his economic and environmental agenda by working closely with the DENR to make sure that laws on sustainable and responsible mining are carried out. “We should help the sector and help the DENR. Because when the industry players and the DENR work together, your sector can contribute greatly to government revenues, exports, economic growth, job creation and the progress and development to the local communities that host mining, “ Arroyo told mining industry leaders. The former President delivered a speech on Tuesday at the Philippine Nickel Industry Association (PNIA) Nickel Initiatives Forum at Shangrila Towers in Bonifacio Global Cente. She pointed out that the mining industry should endeavor to work closely with the DENR in order for it to grow even with Duterte’s strict stance on mining. “I have said earlier that even under my successor who was very strict about mining, the sector even grew compared to my time, and thus what we want to do now. Even in today’s policy and regulatory environment, we want to have the sector grow and contribute to sustainable national development,” she said. Arroyo said the nickel mining industry can contribute largely to Duterte’s economic policies particularly on his on his Build, Build, Build program and tax reform.